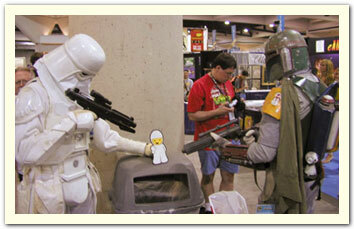 Bumperboy is taken hostage by a Stormtrooper and Boba Fett! July 2004. Photo taken by Ben C.
Bumperboy meets a fake Princess Leia...that's not Carrie Fisher! 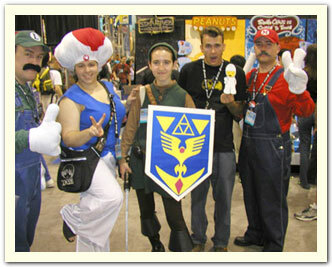 Bumperboy and Alex meet the Nintendo posse!